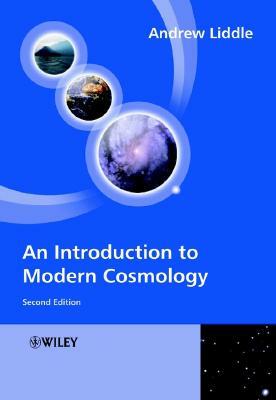 An Introduction to Modern Cosmology Third Edition is an accessible account of modern cosmological ideas. The Big Bang Cosmology is explored, looking at its observational successes in explaining the expansion of the Universe, the existence and properties of the cosmic microwave background, and the origin of light elements in the universe. Properties of the very early Universe are also covered, including the motivation for a rapid period of expansion known as cosmological inflation. The third edition brings this established undergraduate textbook up-to-date with the rapidly evolving observational situation. This fully revised edition of a bestseller takes an approach which is grounded in physics with a logical flow of chapters leading the reader from basic ideas of the expansion described by the Friedman equations to some of the more advanced ideas about the early universe. It also incorporates up-to-date results from the Planck mission, which imaged the anisotropies of the Cosmic Microwave Background radiation over the whole sky. The Advanced Topic sections present subjects with more detailed mathematical approaches to give greater depth to discussions. Student problems with hints for solving them and numerical answers are embedded in the chapters to facilitate the reader's understanding and learning. Cosmology is now part of the core in many degree programs. This current, clear and concise introductory text is relevant to a wide range of astronomy programs worldwide and is essential reading for undergraduates and Masters students, as well as anyone starting research in cosmology. Andrew Liddle is Professor of Astrophysics at the University of Sussex. Research interests include the origin and evolution of structure in the universe and the relation between astronomical observations and the physics of the early universe.